Chapters | Is the Quran the Word of God? One Single Version of the Qur’an? Has the Bible Changed, Or Are Muslims Trying to Change the Bible? Was Muhammad the Prophet Spoken of by Moses? Two or Three Witnesses: What Was Muhammad’s Authority? Answers objections Muslims have about Christianity. Is written in a question-and-answer format. Contains links to other relevant websites and videos. Is “hands on” apologetics that allows readers to hear answers and objections from both a Christian and Muslim perspective. Demonstrates that Muslims are interested to discuss the most crucial questions in life. 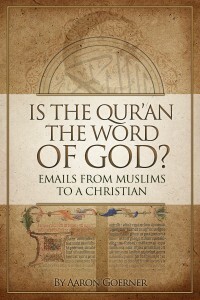 Is for Muslims and Christians interested to learn more about the relationship between the two faiths.